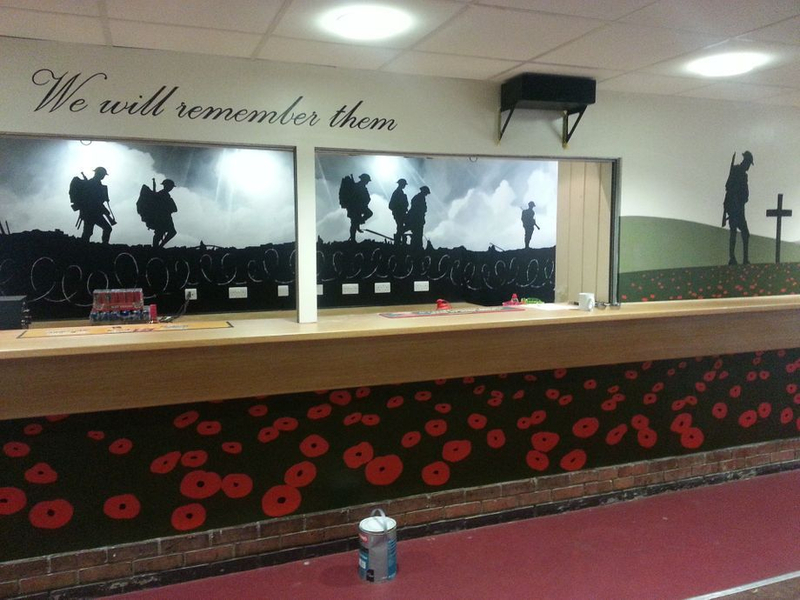 This remembrance mural was created in a bar at the Invicta barracks in Maidstone, in three days. 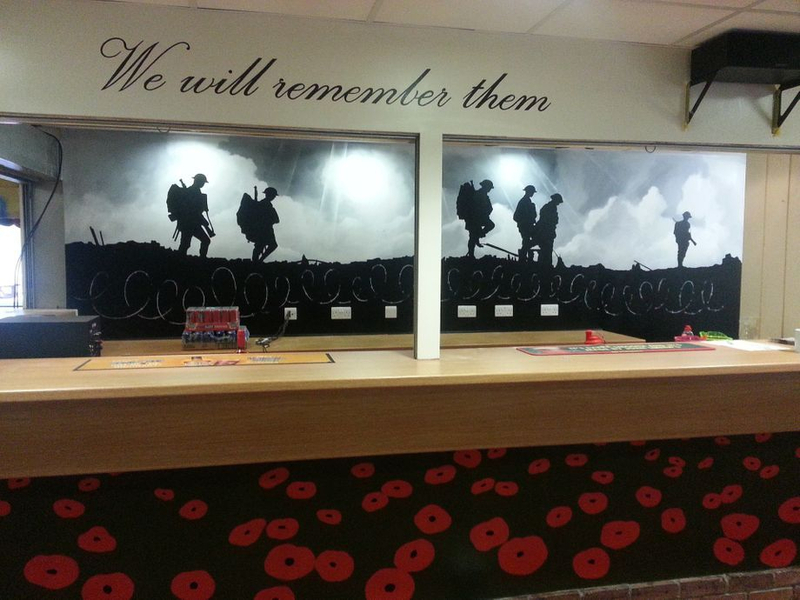 We painted behind the bar in black and white, with stormy clouds and silhouetted soldiers, then in the foreground we used colour to give contrast and finished with a remembrance quote. This design is quite simple, but the bold colours and strong lines of the silhouettes make it very effective and striking. We finished with anti graffitti varnish behind the bar so it's extra tough wearing against any spills and splashes, then we used a heavy duty glaze on the foreground as they wanted to be able to add the initials of fallen soldiers to the mural.